Somme parade is across the river, on the north eastern outskirts of Wanganui City. 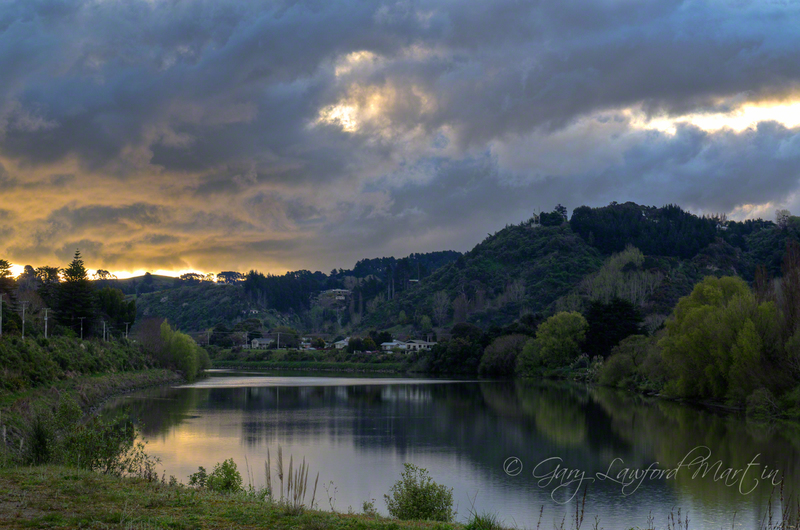 The sunset after glow highlighting the clouds and river reflections of the Whanganui river. This image captured where State hi-way 4 becomes Riverbank Road on the approach to Wanganui. Sharpened, light and colour adjusted in Lightroom 3. Original file and a second copy of the original file, exposure adjusted by -2 Ev, exported to Photomatix Pro for tone mapping.